I spotted Anna's super cute card as an entry for Sketch 268. I love how she has our adorable chef from the Recipe for Happiness stamp set peeking through the Rectangle Peek-a-Boo Window. The light blue gingham adds a springy freshness to her design. 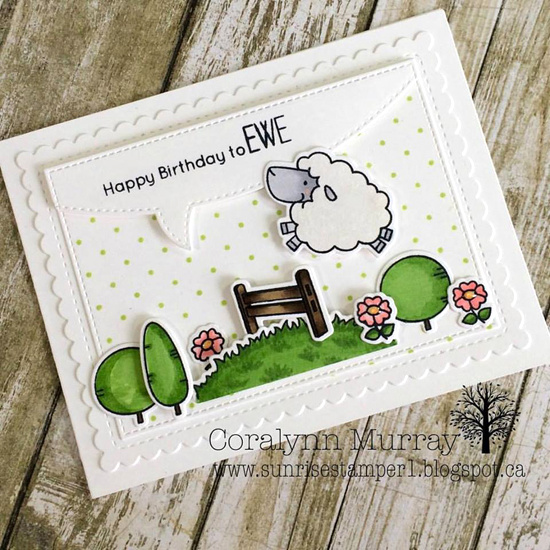 I spotted Coralynn's springy birthday card on Instagram following #mftstamps. I just adore all of the sweetness in this card from the dotted background to the scallops to the word bubble for the sentiment. And her coloring of the grassy knoll from the Ewe Are the Best stamp set is way inspiring! 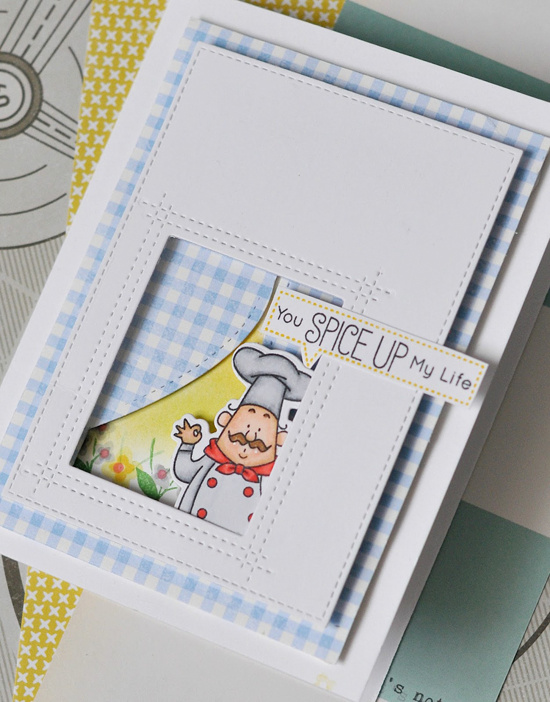 MFT Graphics Guru Laina Lamb spotted Victoriya's sunny card on Instagram following #mftstamps, too. 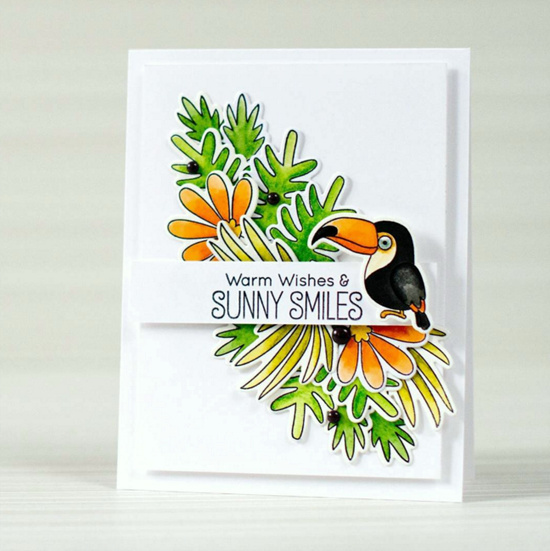 The lush greenery from the Blissful Blooms stamp set paired with the striking bird from the Polynesian Paradise stamp set make for a stunning design set against all of that glorious whiteness. Torico spotted Yulianna's card on Instagram, too. It's so inspiring to follow the #mftstamps hashtag — you just never know what you'll see. 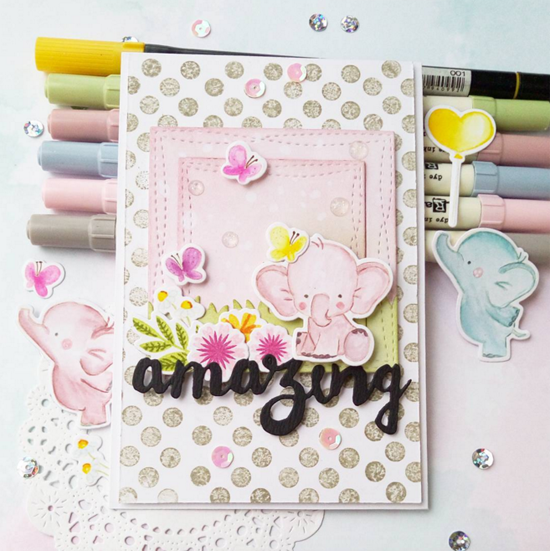 Yulianna paired the Adorable Elephants stamp set with Mini Modern Blooms and the Doubly Amazing and Wonky Stitched Square STAX Die-namics. So pretty! 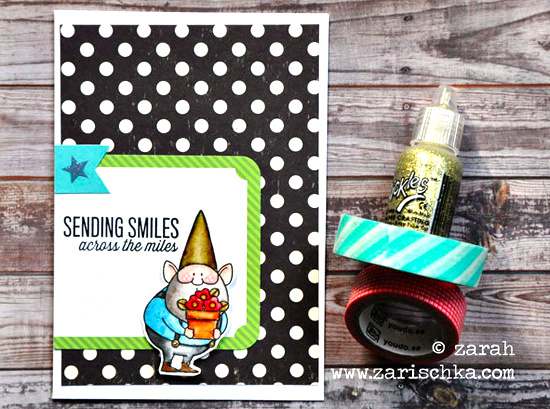 I spotted Zarah's fun card in the MFT Flickr Group (join us!). Looks like our little gnome friend from the You Gnome Me stamp set is ready for spring with his pot of pretty flowers. I love the playful black and white polka dotted background that she schose to showcase him. Thanks for using MFT, ladies! You've left us inspired, and that's what it's all about! See you tomorrow for another great Sketch Challenge, and look for the next MFT Color Challenge next Thursday, March 10th! These are all GREAT, congrats everyone on being spotted! !